What Worship Has To Do With It? of “putting down the mighty from their seats” (Luke 1: 52-53). The Presbyterian congregation of Morro Doce, a neighborhood in the outskirts of São Paulo, Brazil, was made of people living inches above utter poverty. The church had a deep commitment to its own people and the larger community. They took care of each other in many ways. By the third month I was there as a pastor they couldn’t pay my salary. When the congregation realized it, they started to cook and buy basic things for my house and my family. Every Sunday night after the evening service when I got on the bus to head home, I always carried several bags of goodies, food for the whole week. During the week, people would be at each other’s houses caring for their kids when the parents needed to go working. The very few who had cars came to church and left church loaded with twice as many people than their cars could carry. Every Sunday morning, the kids were at the bus stop waiting for me screaming joy and expectation. Sunday afternoon, I would visit families; I always received with a banquet. When I came as pastor, the congregation met in a small, rented room. After a six months, we wanted our own building. To buy a piece of land and build a four walls and a roof would cost us about 5 thousand dollars. We started saving as much as we could. However, we didn’t make much progress. Every month there was a more urgent need for a member of the. One Sunday, a family from the favela, whose 6 kids came to church every week, asked us if we could help them redo their fallen roof. All of our small savings and the money of almost all of our budget went to that roof. Not long after that, most of our kids got lice in school. We had to provide a haircut to almost our kids and make arrangements for the families to go to the drugstore and get the necessary soap and medicine for their kids. Every Sunday, 80% of our money went to that need. Then we realized that almost all our kids didn’t have breakfast on Sundays because there was no school. When we started using the money to pay for breakfast and the church would be crowded every Sunday morning. Even the local bus driver knew that Sunday at 8 am he would have his bus loaded with kids from the favela coming to our church. Nonetheless, the church was so happy to even imagine a new building where we could offer more services to the community. We did everything to raise money, from pizza night to yard sale, ice-cream and cakes, clown evenings, clothing, etc. But due to the constant needs of the congregation, we could never save enough money. At the end of 3 hard years raising money for the building, we had less than $ 100 saved. Everything in that congregation, including the budget, was geared towards the immediate people and the community around them. No one even went hungry there! Our liturgical life changed in relation to the needs of the community. We had a proper reformed liturgical order for every Sunday but I soon realized that it was the life of the people that would give shape to the liturgy in ways that happened organically. One day we would spend more time praying for each other than doing anything else because the needs were such that we everybody needed prayer. One day when I was preaching, I asked an elder to tell a story of his experience living in Argentina, since he was the first member to go abroad in a mission from his work. His story was so funny that the whole congregation started laughing so hard I couldn’t finish the sermon. In the midst of loud laughing we barely had breath to sing the last hymn. Of course, not everything went smoothly; we had problems, too. Nevertheless, empowered for its daily life by the priorities of the liturgies (work of the people) at Morro Doce congregation where I saw a community (church-world-neighbor) empowered. I think that what I am trying to do in this book is to give voice to the possibilities of communities to make a difference to the people who worship together and to the communities around them. With this book I invite conversations about different approaches to our own lives and our liturgies, and see how our ecclesiologies, civil life and worship services are all intertwined and interconnected. This book is a series of imagining, sometimes surely idealized, that offers ways to think and plan our liturgies differently and do things differently. 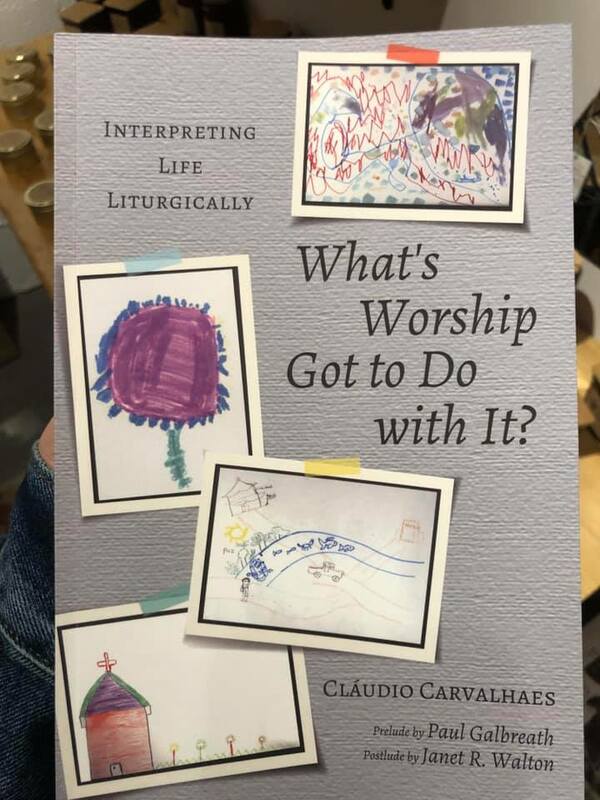 This book hopes to be an alternative to the understanding of liturgy as the work of God on behalf of the people (Gottesdienst)where just some privileged scholars, have a say in what we are to pray, sing, or do, and with that, define what life is all about. No! Liturgy is indeed the work of the people, who together, bringing their sources, wisdom, experience as we mutually learn with one another. We do this with scholars joining different forms of knowledges for that specific context we live in. In that way, there is no dismissal of the academic knowledge from all kinds of scholars , but there is a shift in the relationship. Scholars are not telling us from hierarchical places what they have received from God and people are only to say Amen to their divine wisdom as if they are safeguarding both God, faith and our lives in some form of liturgical order or understanding. Instead, we tell each other what the will of God might be and how we should do this gathering as we create worlds and faith possibilities. The liturgical moment is always a kind of center where the memory of the divine lived in the past, faces the challenges and the exigencies of what is to happen. If the gathering emerges from tradition but do not close itself to this tradition, its very nature is to be open to what has not yet happened, and turns tradition into a model for the future with the clear presupposition of a criticism. That is why the judgment of the present precedes from the celebration of what happened in the times of liberation and it is animated by the hope of what might happen because of our commitment to this common decision…But what kind of gatherings we have now? Assemblies eaten away by the commitment to the powers of this world and captive of the social system, political and economic in which we live. That is why, in general, the liturgical gatherings become tiresome, devoid of the vital element that would make them exulting in joy and interpreters of reality. The liturgical theologian, more than holding tradition, interprets reality through rituals with the people. More than keepers of cultural assertions recoded as liturgies received from God, the liturgical theologian must combine the roles of prophet, the priest/pastor and the scholar. We do not only have to work together to choose the order of our worship that fits our current situation, but more, we need to make connections of our faith and the world we live in order to face larger agents of death. Liturgy is not a political party or a political party event. However, since it holds and shows God’s power in the world, liturgy is a local counter power to the global movements of power that dismantle the basic social systems of life. By affirming God’s imago Dei and equality for all under God’s justice and love, our rituals go against the market and the needs of economic organizations that pipes the flow of wealth to some people and leave the vast majority of the world population without minimal access to the sources of good. With the clash of these many horizons, the rituals of our worship must respond to the lack of glory in the world by stretching horizons of hope, faith, justice and liberation so communities of excluded people, praying God for their own liberation and the liberation of the world, can continue to believe that people, preferentially poor people, like some forms of just societies, must be defended. Thus, religious rituals, and in our case, Christian rituals cannot be canned liturgical theologies, even if they claim to be theologia prima. Liturgical knowledge aims to create, shared and construct knowledge together, from the wisdom of our own communities with the thousand traditions of Christianity and other religions, and not as fossilized rituals we keep by talking in in circles only to find inner meanings that confirm what we know time and again. Liturgical knowledge, like any other knowledge, is a form of power, with its paradoxes and ambiguities and thus, need to go against the desire to keep the class structures of churches. The call from our worship space is to abandon the allegiance to middle and upper classes and go work with people in the margins of our brutal society. Thus, the crux of the shaping and formation of this liturgical knowledge must be aware of the sources used, the positions taken, the memories chosen, the actions done and the relations and partnerships engaged in these meetings as paramount to what we want to think and do about our (liturgical) lives together. My hope is that this book will foster heterogeneity of rituals, a plurality of possibilities for life and not a one line thought/belief that we must be faithful, rather we perish. In other words, I hope that we will be able to liturgies that will consider different local sources and perspectives that will entail different set of questions and needs, bringing different life experiences into consideration so we can create different worlds, multiplicities of languages, different racial, class, gender and social intersectionalities through a vast array of locally situated liturgies. While not having something to offer as a definite how-to-do worship “properly,” I hope that by shuffling resources, references and unexpected juxtapositions, we will learn to be critical of our forms of doing liturgies and writing liturgical theologies. As we do it, we don’t need to either necessarily set ourselves with the keepers of the tradition nor with those who dismiss any traditional form of worship by doing whatever they want for the sake of the new. In other words, we will go against worship forms that reflect either the rigidity and righteousness of proper worship orders as well as the self-congratulatory rituals of cultural self-absorption and entitlement. Perhaps, we must create something in between, something that helps us place ourselves in the midst of those who are hurting and generate social disciplinary subjects that will tackle the imbalanced forms of common living and fight against the normativity of patriarchalism and its hierarchical heterosexual structures, go vehemently against the racisms that break the back of our people, queer our forms of gender and sexualities and displace forms of imago deithat associates God’s goodness to a certain economic gain in life. Christian ritual, prayer and sacrament occur at the confluence of three distinctive – yet essentially interdependent liturgies: the “liturgy of the world,” the “liturgy of the church,” and the “liturgy of the neighbor” … The Christian community never celebrates its liturgies for itself; it celebrates them in and for the world, for the life of the world. The liturgy of the worldencompasses the whole network of connections between countries and the globalized conditions of human life through movements of political systems and nation-states, capitalism and free-trades agreements, militarism, drugs, agribusiness, local and global religions, immigration, labor, and so on.The liturgy of the churchentails the sources and histories of many traditions that we Christians in the 21th century need to deal with in an expansive ecumenical frame and its continuing explosions of identities. The liturgy of the neighborhas to do with the ways in which the existential and confessional forms of living of my neighbors are respected and cherished, which includes the multiplicities of religions. The liturgy of the neighbor is about communities of people, forms of common living within communities that shape the individual and the social life in various ways. In all of these three liturgies, social markers of class, culture, religion, gender, sexualities within forms of power. Life and death being created, negotiated, dismissed, abused, empowered. The liturgy of the worldencompasses the whole network of connections between countries and the globalized conditions of human life through movements of political systems and nation-states, capitalism and free-trades agreements, militarism, drugs, agribusiness, local and global religions, immigration, labor, and so on. The liturgy of the churchentails the sources and histories of many traditions that we Christians in the 21th century need to deal with in an expansive ecumenical frame and its continuing explosions of identities. The liturgy of the neighborhas to do with the ways in which the existential and confessional forms of living of my neighbors are respected and cherished, which includes the multiplicities of religions. The liturgy of the neighbor is about communities of people, forms of common living within communities that shape the individual and the social life in various ways. In all of these three liturgies, social markers of class, culture, religion, gender, sexualities operating within various forms of power. Life and death being created, negotiated, dismissed, abused, empowered. The connectivity of these three liturgies are ways of thinking at the border. These liturgies of this form of border thinking are fundamental components to the formation of different liturgical assemblages, connecting local sources, diverse contingent of groups and ethnicities and forms of life, feelings and subjectivities that foments different forms of marginal thinking, thinking that comes from those from the underside of history. This inner-outside circularity of liturgies reflect, challenge, engage and transform social realities that ends up doing the same things to liturgy. These intersectionalities and connections imply a multiplicity of sources, symbols and perspectives coming from below, from local contexts in constant relation to global forces. In this way liturgies are not repetition of unmarked universal truths only but ritualized social forms that produces localities, that is, that enhances forms of power within groups who live together. In this way, the liturgy of the world can only be thought, considered and ritualized if done in constant tension and relation with the local context of the liturgy of the neighbor, whose body and oikos pertains to a certain liturgy of the church(es). The relation between the world/global and local/church-neighbor must be put in perspective. Arjun Apadurai explains the local in relation to the global. While this work hints on the work of decoloniality, it also fails miserably. In many cases, instead of producing an “epistemological disobedience” as Mignolo says, it ends up reinstating a re-westernalization of the liturgical ontological structure, failing to do the work of delinking its connections. In any case this is a work in progress. The chapters on this book are placed under these three liturgies with the hope that we will point to some of the issues of these immense complexities, hoping to show that they are fully intertwined and cannot be thought-lived without the other. How we organize these liturgies and therefore our faith and our lives, is our task. Expanding the understanding of juxtaposition offer by Gordon Lathrop,the idea is to juxtapose not only what is within a given shape of liturgy but rather, to juxtapose the many liturgical things we call holy with what is there but goes without being spoken, namely, prayers with race, baptism with economic inequality and civil disobedience, eucharist with agribusiness and immigration, songs with social freedom and so on. These amplified forms of juxtaposition call us to engage the places between the altar/table and the world, asking for what has been silenced, denied or simply not spoken, thus hidden, and not visibly clear to the formation of society but gives full raise to racism, economic disparities, social exclusion and an eclipse of the poor in most of our liturgies. The slogan lex orandi, lex credendidoes not, then, offer as much light as it may seem to promise. In spite of the tension between them, doxology and doctrine remain a cozy ménage à deus, each partner in the pair defining itself in terms of the other. But the deeper question is not whether faith controls worship, or vice versa, but whether either of them can be verified in the absence of a lex agendi(a rule of action or behavior), an ethical imperative that flows from the Christian encounter with a God who is radically “un-God-like,” a God who, in the cross of Jesus and in the bodies of the ‘poor, the hungry, the thirsty, the naked the imprisoned,’ has become everything we believe a God is not. The ethical imperative implied by the phrase lex agenda breaks apart our comfortable “faith and worship” duo by introducing that subversive element of indeterminacy. This claimed indeterminacy neither does away with the ethical imperative nor with beliefs and faith, but rather, it establishes an ethical caution to the liturgical ways in which we believe and hold the sacred, and how rituals relate, or not, to the life of others, to the living of bio-systems and to senses of justice, solidarity and peace. In some ways, this book wants to point back to the revolutionary kernel of Christianity and its connection with the poor. It hopes to connect with a Jesus that had nothing in his life and was never concerned with the holding of power, or endowments or budgets, but who lived in the midst of the people. We have misplaced Jesus’s movement by making it into an institutional church that has become a rich class operating a wealth operation that supports a certain high class and the larger inequalities of the world, many times mirroring the economic systems of society. The Christian church has failed in so many ways.It has, in many instances, sided with the powerful, with economic systems of profit, fought more for power and money than it has to struggle on the side and in the trenches of the poor, the immigrants, the refugees, the homeless, the incarcerated populations, battered women, abused and abandoned children, people with disabilities, the rural small workers and so on. In times such as the ones we are living, we must recall what and where our allegiances are and heighten our ethical awareness as to make sure that we don’t retrieve to our own bubbles of religious-class identities and the protection of our own social privileges. In times such as the ones we are living, we are called to use the potency we have received from God and in prophetic ways fight against fight that which produces death, re-creating forms of living that honor everyone but fundamentally those who are in weary situations and have their lives held by a thin line. It is in times such as the ones we are living that we have our rituals: to teach us to fight and to meditate, to struggle and to pray, to discern what to learn how to replace hatred and confusion with love and acceptance. In times such as the ones we are living that our rituals can create a spirituality that gives life! A religion is a praxis, a certain way of acting in the world, and this is established through a certain way of acting ritually… Ritual refuses to recognize clear lines of demarcation between the psychological, the socio-political and the material worlds…(ritual can transform) a total situation by means of an enactment undertaken with strong subjective desire and producing an effect upon a number of subjects and objects together. It is, in short, a reordering of a totality. … Theodore Jennings has pointed out that one reason rituals change is that they not only transmit ancient knowledge but also assist the discovery of new knowledge. Ritual is neither a detached contemplation of the world not a passive symbolization of it but is the performance of an act in which people confront one kind of power with another, and rehearse their own future… Ritual is the work of beings who are characterized by their capacity to perform and hence to fabricate a social world that is not simply given to them but is compounded of desires and actions that are subject to moral evaluation. Ritual is better understood from a vantage point created by a ‘preferential option for the poor.’ That is to say, we cannot well appreciate the power of ritual unless we see its usefulness to those in need, especially those who, having little social power and, being the victims of injustice, have a need for the social stricture to be transformed.Tom Driver, 167. Trying to capture the whole book in one sentence, this present work intends to do what I began in my book Eucharist and Globalizationand continue to pursue. This is what liturgical theologian Don Saliers so beautifully described as : “to interpret life liturgically.”The measurements of human life, what we consider life, how we calim and protect life is all there in our worship services! This book has three sessions: Liturgy of the Church, Liturgy of the Neighbor and Liturgy of the World. Each session addresses different aspects of these three liturgies while weaving everything together. Formation and information, thinking and practicing, mind and body, spirit and reality, pain and sorrow, joy and glories, sweat and prayer, tears and praise, are all connected from different perspectives. The book intentionally blurs different language stiles, uneven chapters and the so called autonomous lines of these discourses. I write as an organic intellectual, a pastor and an artist. Between the many voices inside of me, there is my own attempt to make sense of my own self, the faith I received and the world that needs to be transformed. Also, as I did with my previous book, I include a few stories of real people spread throughout the book. In a way, I see the whole book as illustrations of these stories and not the other way around. The hope is to show that what really matters is the real lives of the people and all the necessary intellectual movement is to find out sustainable ways to respond to the needs of the excluded people around the globe. For this project, the goal is to collect art pieces created by Refugee Central American children and youth crossing over Texas-Mexico border. Their art pieces will contribute to the real-life human story behind the current border crisis. From these art creations, the unheard voices of the refugee children will be brought to the fore in the form of multiple public art exhibits. Our goal is to help bring awareness to the refugee children’s plight. Surely, these pictures are the most beautiful and important part of this book. In some ways, this book serves mostly to offer sustenance to the light shed on the lives of these kids and make they be at the center of our beliefs, worship and community life. Bring this art to your church, create a discussion, and consider these kids as if they were your own. Cláudio Carvalhaes is Associate Professor of Worship at Union Theology Seminary in New York City. He is the author of Eucharist and Globalization. Redrawing the Borders of Eucharistic Hospitality, editor of Liturgy in Postcolonial Perspectives: Only One Is Holy (2015), and editor of several issues of the journal CrossCurrents. Jaci Maraschin, “Libertação da Liturgia,” in A beleza da santidade. Ensaios de liturgia. SP: ASTE, 1996, p. 133 a 138. Mitchell, Nathan D., Meeting Mystery. Liturgy, Worship, Sacraments(New York: Orbis Books, 1984), xii. For a good introduction to the notion of globalization see Arjun Appadurai, The Future as Cultural Fact. Essays on the Global Condition(London: Verso, 2013). Arjun Apadurai, The Future as Cultural Fact. Essays on the Global Condition. (London, New York: Verso, 2013), 69, 116. “The thesis operative here is this: Meaning occurs through structure, by one thing set next to another. The scheduling of the ordo, the setting of one liturgical thing next to another in the shape of the liturgy, evokes and replicates the deep structure of biblical language, the use of the old to say the new by means of juxtaposition.” Gordon Lathrop, Holy Things: A Liturgical Theology(Minneapolis: Fortress, 1993), 33. Mitchell, Nathan D., Meeting Mystery. Liturgy, Worship, Sacraments, Op. Cit., 39. Tom F. Driver, Liberating Rites, Understanding the Transformative Power of Ritual(Oxford: Westview Press, 1998), pp. 169 173, 176, 186, 188, 190, 191. Cláudio Carvalhaes, Eucharist and Globalization: Redrawing the Borders of Eucharistic Hospitality(Oregon; Pickwick, 2013). Don Saliers, “Afterword: Liturgy and Ethics Revised” in Liturgy and the Moral Self: Humanity at Full Stretch Before God,Op. Cit., 214.